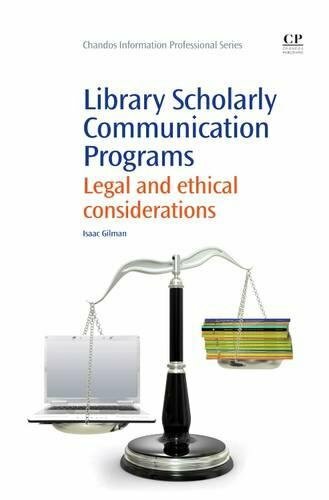 Libraries must negotiate a range of legal issues, policies and ethical guidelines when developing scholarly communication initiatives. Library Scholarly Communication Programs is a practical primer, covering these issues for institutional repository managers, library administrators, and other staff involved in library-based repository and publishing services. The title is composed of four parts. Part one describes the evolution of scholarly communication programs within academic libraries, part two explores institutional repositories and part three covers library publishing services. Part four concludes with strategies for creating an internal infrastructure, comprised of policy, best practices and education initiatives, which will support the legal and ethical practices discussed in the book. If you have any questions about this product by Brand: Chandos Publishing, contact us by completing and submitting the form below. If you are looking for a specif part number, please include it with your message.